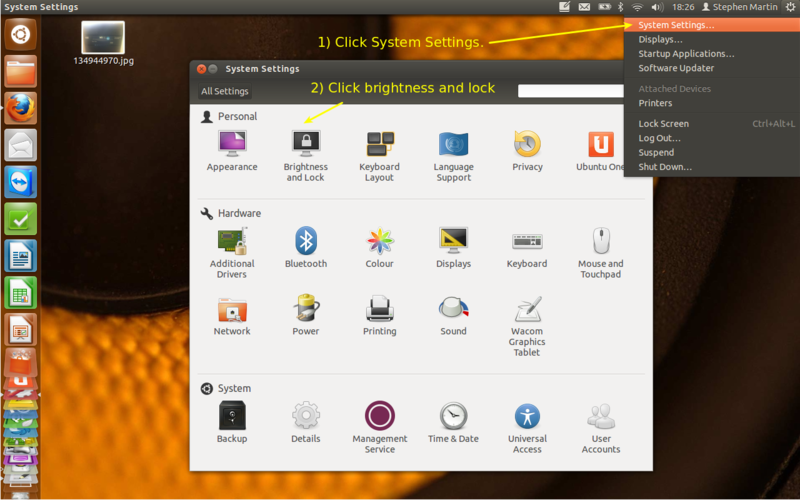 I just installed a fresh Ubuntu 12.04 (Precise Pangolin). I noticed that, there is no screensaver settings, which is fine. I like to control the period of time after which the blank screen is shown,which automatically locks the screen. I do not want to enable screensaver. I only wish to be able to change the idle time period required to lock the screen automatically. It seems to me, it is by default around 10-15 minutes. Then you can change the amount of time to turn the screen off. Not the answer you're looking for? Browse other questions tagged 12.04 settings lock-screen or ask your own question. Can you lock the Unity screen after 15 minutes, not shown in “Brightness & Lock” dropdown? Is there a way for the lock screen to be just like the login screen in Lubuntu 18.10? How do I get the screen to lgo blank in Ubuntu 18.04?